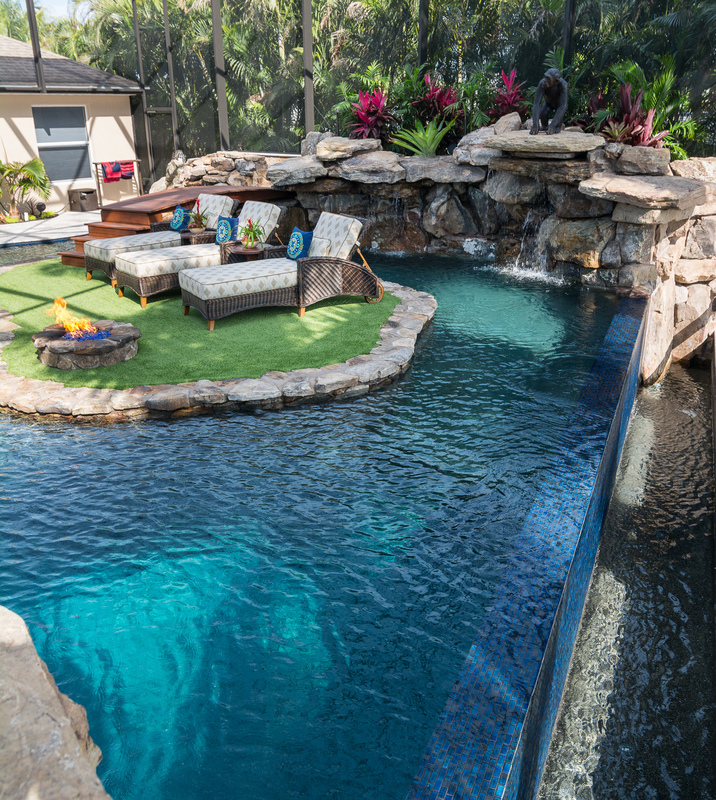 The Lucas Lagoons crew build their first custom pool with a lazy river! 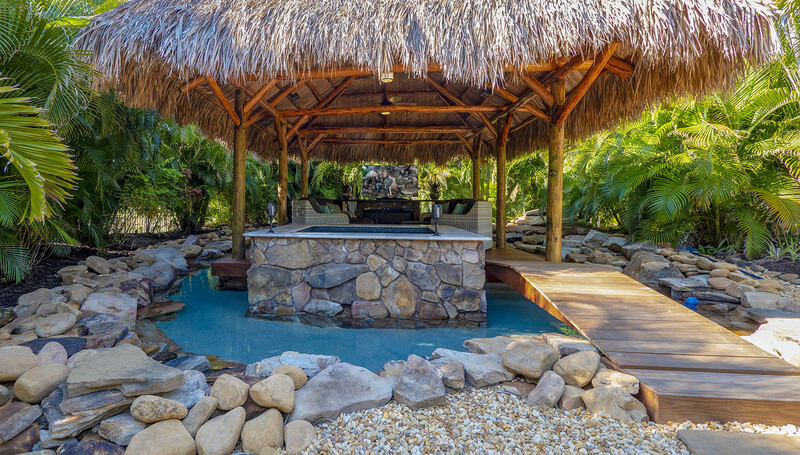 This private pool on Pine Island has a lazy river that circumnavigates a real island, with massive waterfalls and a giant grotto. 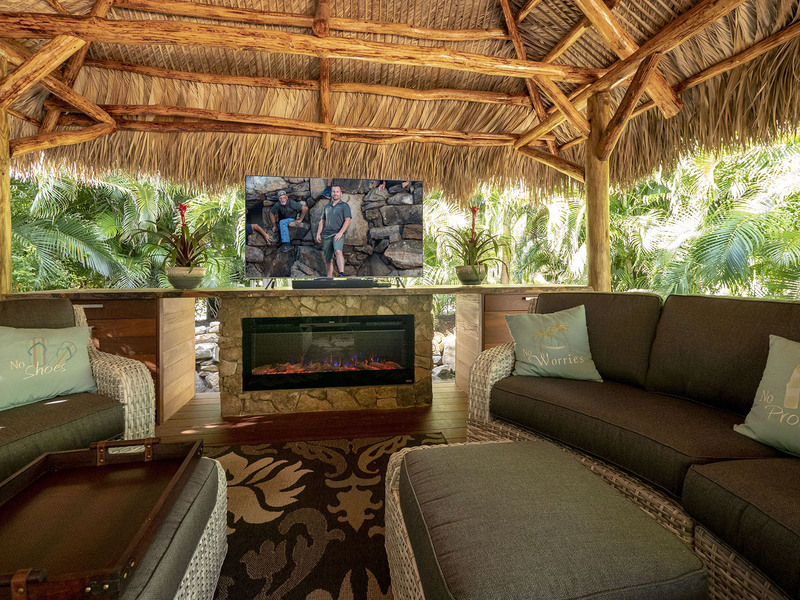 Lucas kicks it up several notches with a state of the art audio/video system, outdoor kitchen and special surprise beach area for bringing the ocean home! 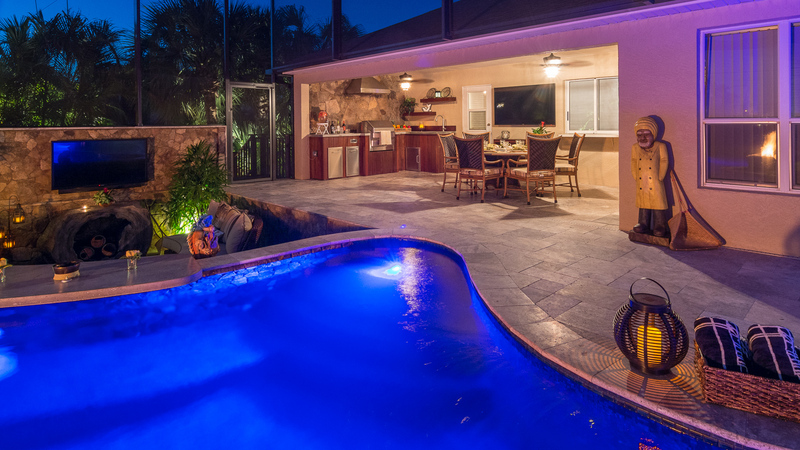 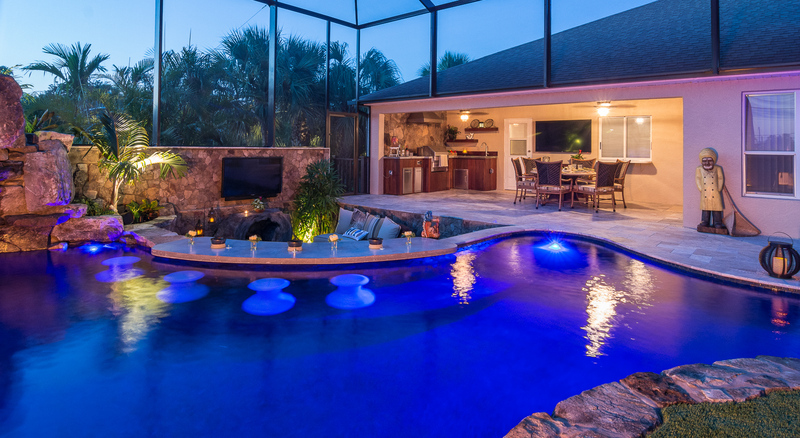 This unique custom pool on Pine Island incorporates some very cool swimming pool features utilizing state of the art technology. 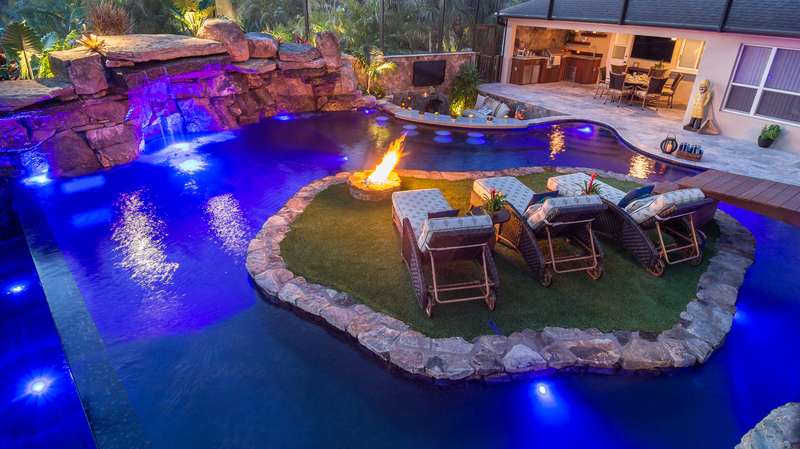 The lazy river system is small, powerful and quiet, and the fire pit, waterfalls, lighting and lazy river are all remote controlled from an iPad app. 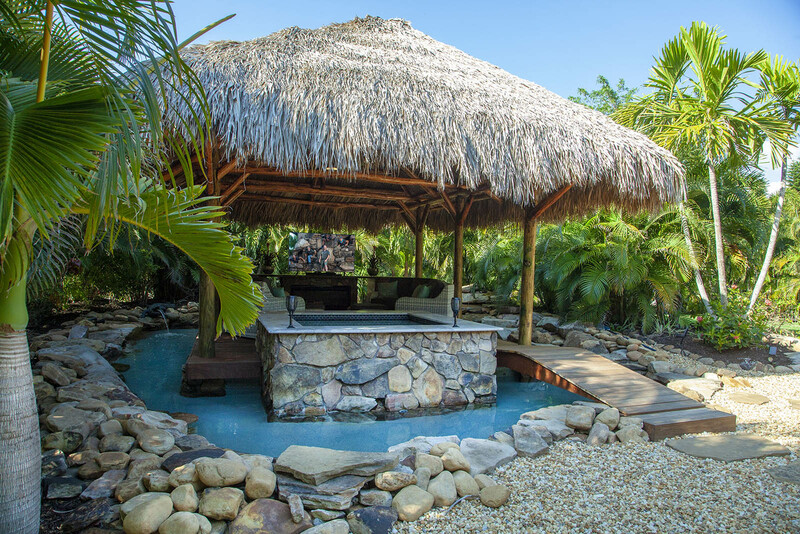 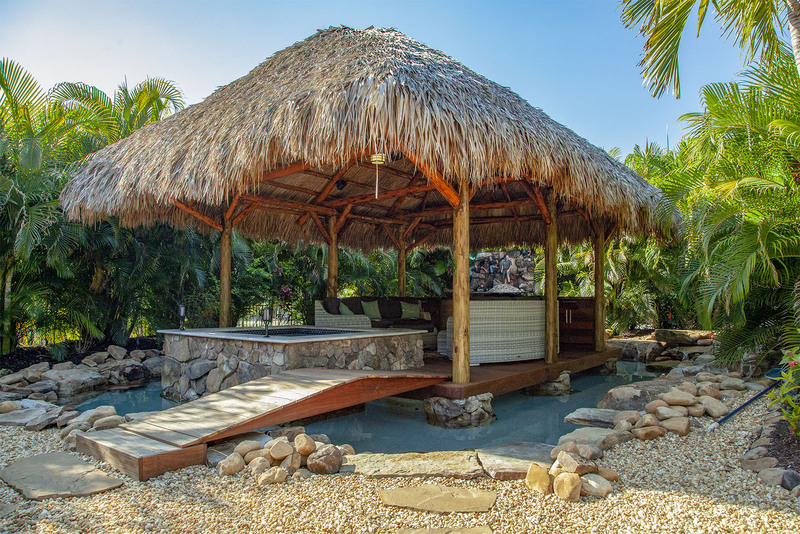 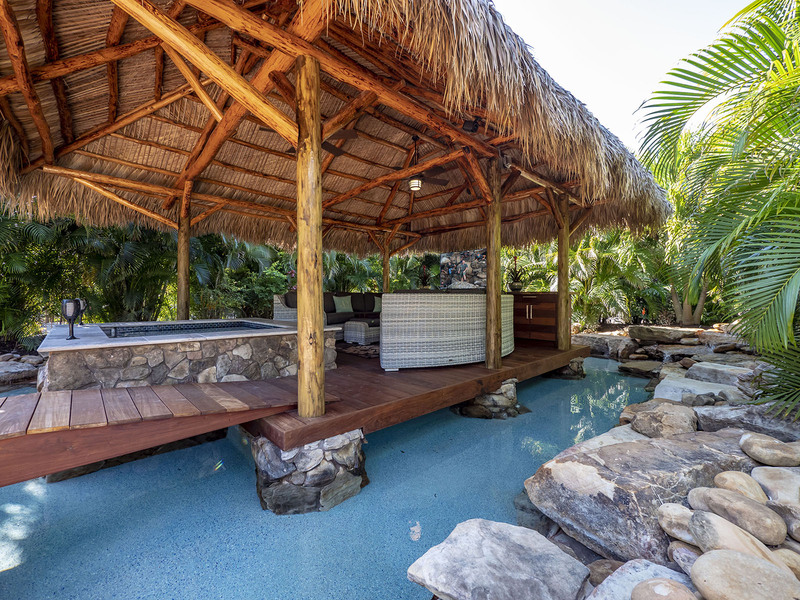 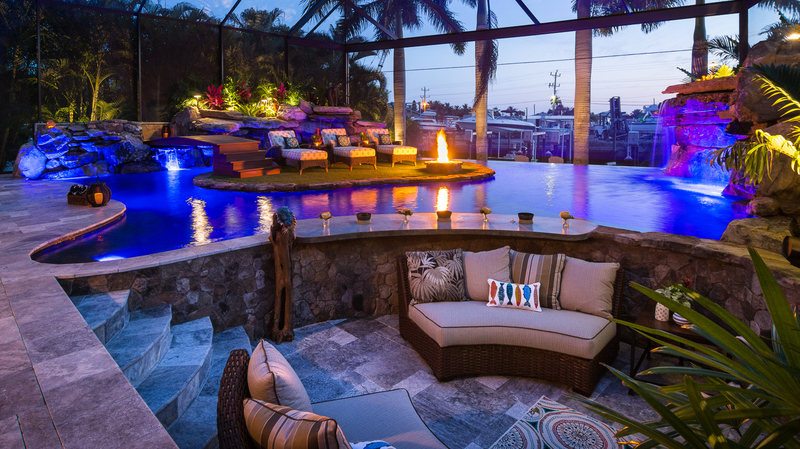 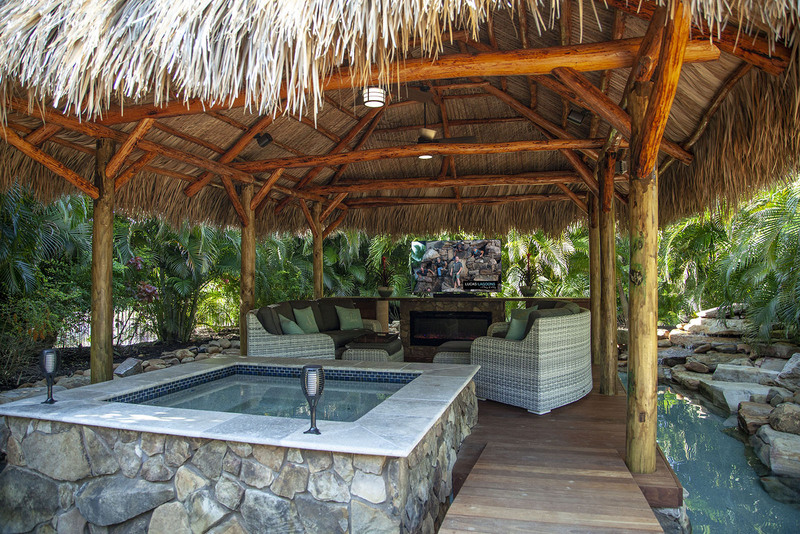 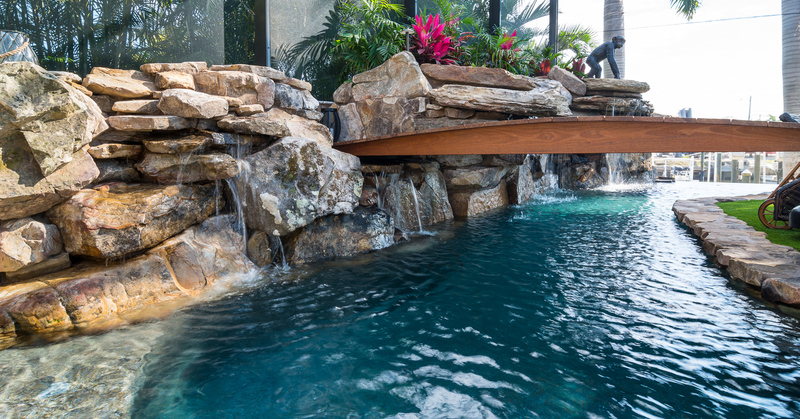 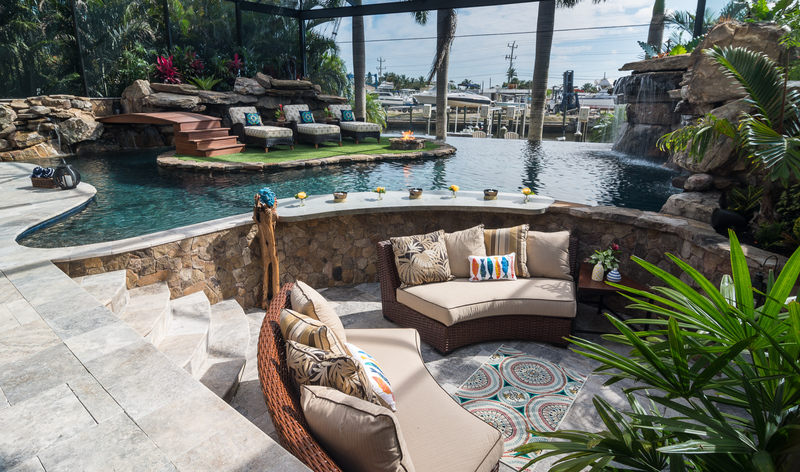 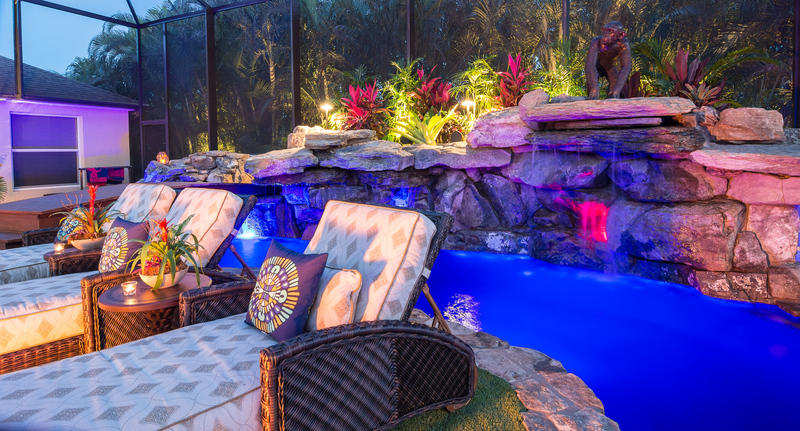 This Pine Island pool build includes a sunken living area with a swim up bar, signature Lucas Lagoons grotto and waterfalls that can be jumped off of plus a fire island accessed by a bridge. 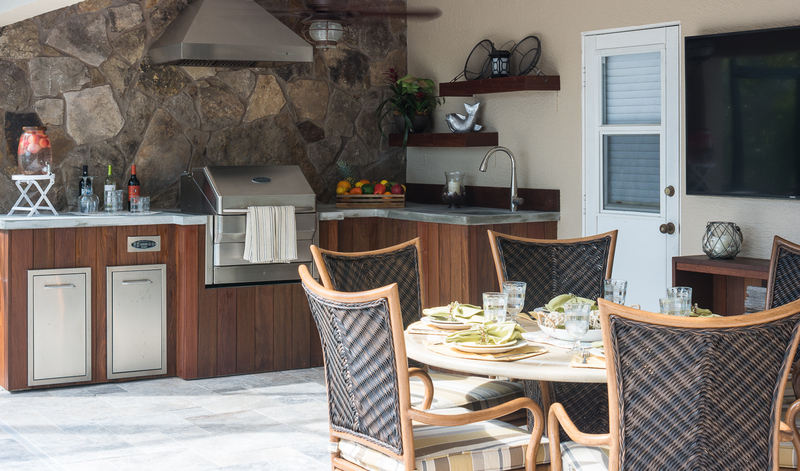 To top it all off, an outdoor kitchen and dining area was added with top-notch amenities to fit the clients culinary desires.